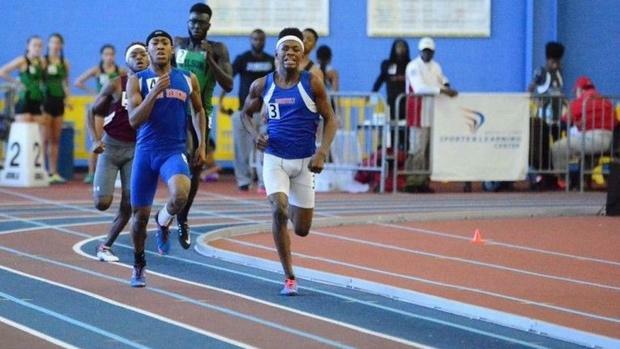 Theodore Roosevelt (DC) High track and field coach Anthony Bowden wasn't surprised by the neck-and-neck finishes by Taahir Kelly and Salahudeen Nurul-Haqq at the District of Columbia Interscholastic Athletic Association Championships on Jan. 25. Nurul-Haqq, 17, a senior, won the 500m run in 1:08.64 seconds -- while Kelly was just three-100ths of a second behind. Kelly, 16, a sophomore, won the 300m in 35.91 seconds -- while Nurul-Haqq came through less than a second later. Bowden laughs. He knows the brothers, a duo he's coached for over a decade, are a package deal. "They are always back and forth," Bowden said. "I keep telling them, 'One of you needs to break loose,' but once one breaks loose, the other one catches up." But the brothers say this intense competition that exists between them only fuels their efforts. 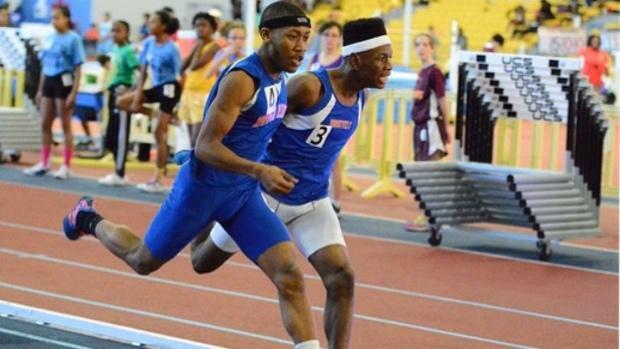 On Tuesday, the pair not only hope to win in the 300m or 500m at the District of Columbia State Athletic Association Championships but also look to score qualifying standards for New Balance Nationals Indoor, which would be a feat neither has accomplished. Kelly and Nurul-Haqq remain just a few 100ths of a second off the qualifying mark for Nationals in the 300m. The duo are about four seconds off the standard in the 500m. "I expect to qualify for Nationals," Kelly said, also adding, "and of course to win." "We race against the clock," Nurul-Haqq said. "You have to beat the clock first." Going back further, though, the brothers began to show their first signs of love for track and field in their adolescence. Kelly and Nurul-Haqq, who hold different last names based on their Muslim faith, grew up a few blocks down the road from Roosevelt High and used to pop over the fence that separated the road from the track. Bowden, who began coaching Roosevelt in 2006, would often call the brothers over to practice. "I would tell them to do little things like run with the girls or boys," Bowden said. "They were running ever since they were 7 or 8 years old." That interest in the sport never waned. After middle school, the brothers continued to run for Bowden, who sensed he had talent on his hands. But there was one thing he could never figure out. "It's like they're joined at the hip," he said. The brothers were side by side in almost everything that they did: training, long runs, races. Even after they hit their peak speeds, Kelly and Nurul-Haqq would be right there. "It's happened ever since they started to run," Bowden said. "I'm thinking to myself, they can't finish the same all the time. But it's the same. If you came out and watched them practice, you would see." The brothers don't shy away from that fact, either. It's actually a running joke in the family. "It's been like that since middle school," Kelly said. "In practice, Coach (Bowden) always says to me if my brother gets ahead I have to go get 'em. And if I pull away, then he tells my brother to go get 'em." It's a phrase that's become Bowden's rallying cry for Kelly and Nurul-Haqq, if only because it's speaks to the duo's penchant for chasing after each other. "The other day we did a workout of 600s," Kelly said. "Coming into the final 300, my brother was ahead by about 50 meters. Coach (Bowden) said 'go get 'em' and that's what happened. If you're going to have speed, you have to use it." The boys are so close, Kelly says, that they often listen to the same music, play the same sports and finish each other's conversations. "We've always been close since we were young," Nurul-Haqq said. "So the outcome at state will be special if either of us wins. Because I know he works as hard as I do and I work as hard as he does." It isn't lost on the brothers that Bowden has been a big reason why they've improved so much -- not to mention, he's been a source for their growing love for track and field. He's been a big influence in their lives since they were old enough to even complete one full lap around the track. "He's like a grandfather actually," Nurul-Haqq said. "It's like he's been with us since we came out of the womb." Tuesday's DCSAA Championships, a gathering of public, private and charter schools, will be a fitting place for each of them to prove where they stand at the end of the season. Nurul-Haqq, who will graduate this year, still has high hopes for running in college. He said he would love to have the opportunity to run for a Division I program like Virginia Tech, North Carolina A&T or North Carolina State. Kelly wants to be as competitive with his brother as he's always been. "I don't want to have any regrets," Kelly said. "I don't want to leave saying I could have run faster. I want to leave it all on the track." "Win," Nurul-Haqq said. "That's my key to New Balance Nationals. It's Nationals or nothing. I know I'm a senior, so I have to run my hardest." To connect with MileSplit Content Producer Cory Mull, follow him on Twitter @bycorymull. Have a story idea? We're all about those. Email him at cory.mull@flosports.tv. To have access to year-round stats, breaking news, stories and videos, register for Milesplit DC here.